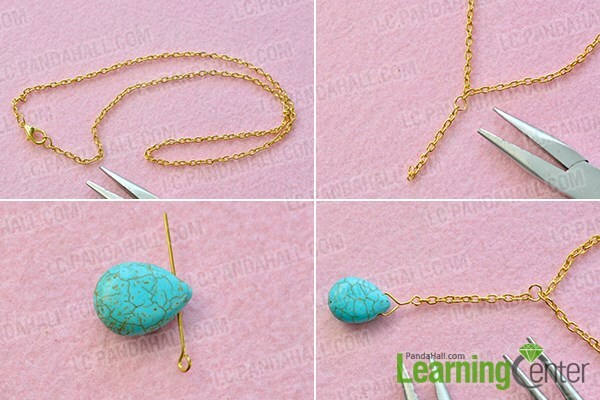 Summary: Today’s PandaHall tutorial is about how to make a pretty golden leg chain for girls. 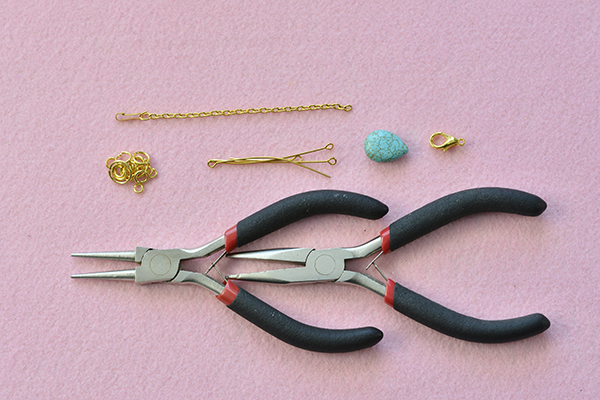 If you are planning to make some body jewelry for summer, you shall never miss this tutorial! 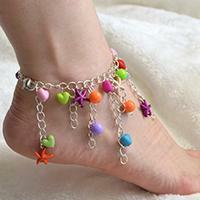 Leg chains could be a very great accessory for both parties and beaches, even a simple piece can make you look gorgeous. And today I’m here to share you a simple yet graceful leg chain made with golden chain and turquoise bead. If you like the design, follow me and make your own one! 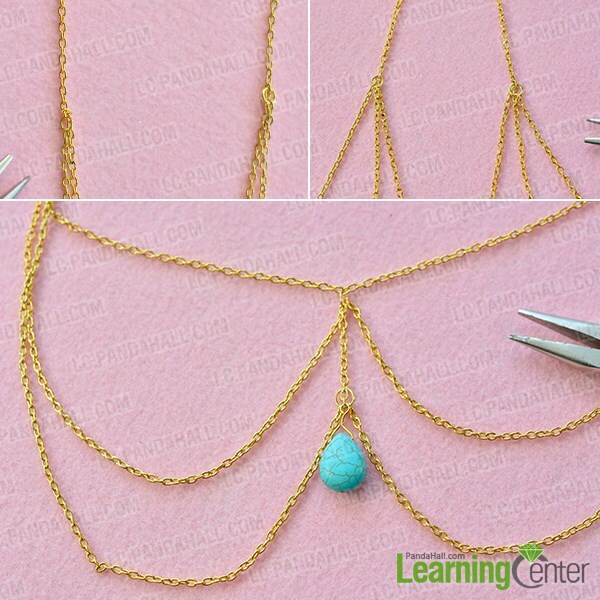 3rd, make a bead dangle with a drop turquoise bead and an eyepin, and then add the dangle to the short chain. 2nd, cut another two longer pieces of golden cross chains, add them to the basic pattern like picture shows. Mind the position of each chain end. Wow! It looks really great! Don’t you want to have a try? It won’t take much of your time, and all you need to do is to gather the materials and connect them together! Have a nice try! How do you make it stay up on your thigh? Won't it slide down?